Dolly is a very sweet, friendly chocolate coloured Doberman who is approximately 8-10 yrs old. 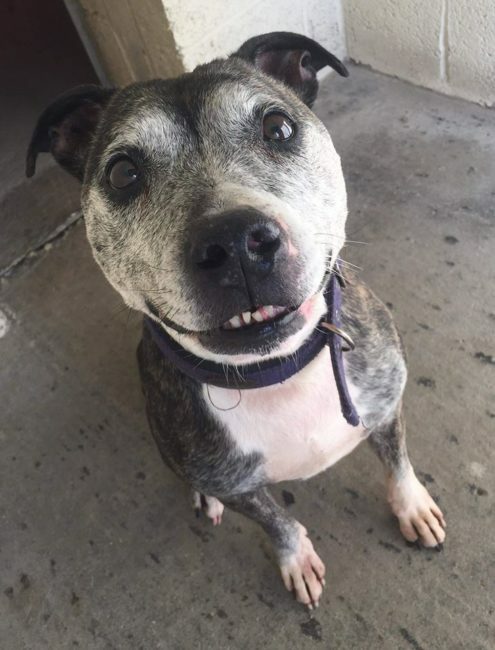 She sadly was picked up as a stray in very poor condition and wasn’t claimed by any owner. 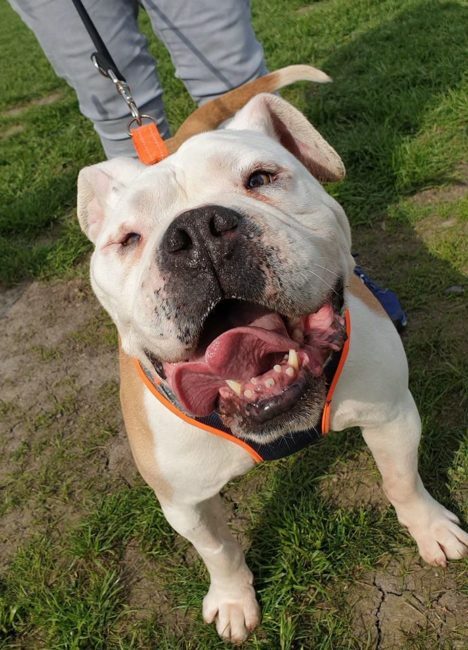 Dolly is now recovering from a stressful time in stray kennels in a foster home. Sadly she hurt herself trying to escape from kennels during firework displays – she hurt her paws and lost some teeth trying to escape. In her foster home, Dolly has been very well behaved – she is fully housetrained and is obedient. 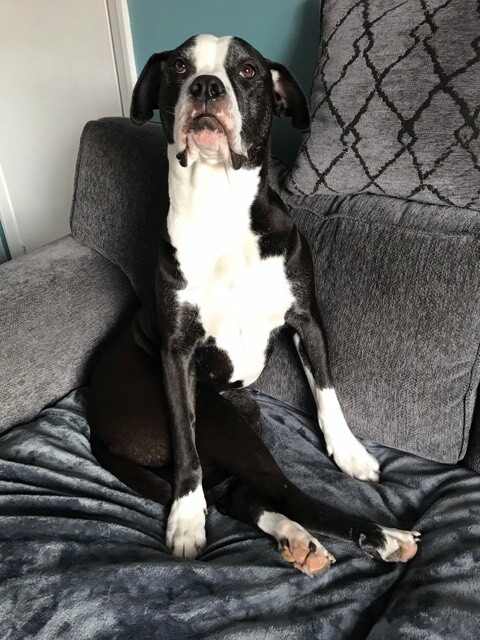 She is currently living with 2 other dogs who she is no bother around at all, she would probably benefit from the company of another calm, stable larger breed dog in her new home. She can’t live with cats/small furries. Dolly does suffer from a bit of separation anxiety so will need a home who are around for most of the day for her. When out and about on the lead, she can be reactive to unknown dogs/cats – we are sure this will improve once she is settled and gained confidence, but she will need a confident handler to guide her in this area on walks. She has a wonderful nature with people, and was so tolerant being examined by our vet. She travels well in the car. We are looking for a home with some experience of the Doberman breed for Dolly, she will make a fantastic companion for a lucky family!